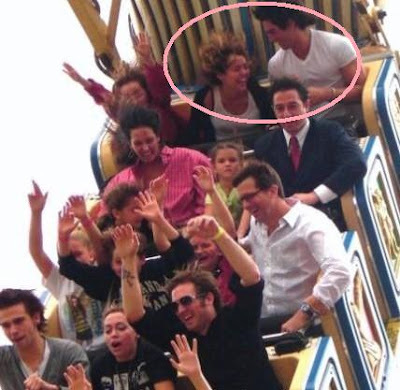 Miley Cyrus and her 20 year-old boyfriend, Justin Gaston turned red while swinging on a carnival ride recently. The two were all smiles! Her little sister Noah also looks like she's having a good time!